Well, it took an extra movie, but The Hunger Games has finally come to a close. Yep, the saddest and dourest of all YA franchises wraps up in particularly sad n’ dour fashion. The series certainly deserves big points for providing the YA blockbuster genre with some welcomed intelligence and social commentary. It’s just a shame that despite starring the most charismatic and energetic actress on the planet, this series proved to be so depressingly dull. 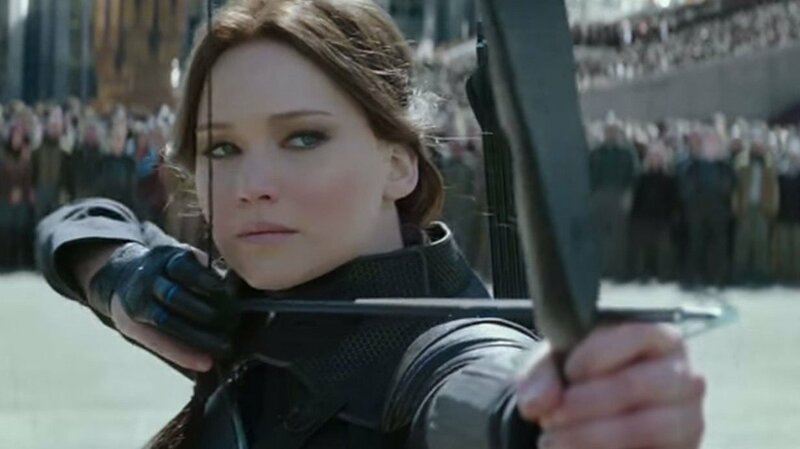 Granted, The Hunger Games is a far better watch than any of the similarly dystopian teen sagas to hit screens in its wake (Insurgent, Maze Runner, et all), but the final chapter doesn’t offer much of the satisfaction and smiles that typically accompany a final entry in an ongoing series. Instead, it might be the most depressing film of the franchise. And considering the fact that we’re talking about a story founded in televised kid-killing, that’s really saying something. Things pick up seconds after the end of the last movie. Jennifer Lawrence’s Katniss is getting sick and tired of being used as a propaganda figure by the leader of the resistance (Julianne Moore). She wants to fight and she will. But first she has to deal with the fact that her sort-of boyfriend (Josh Hutcherson) was brainwashed by the enemy. It’s sad, but at least she’s got her other sort-of boyfriend (Liam Hemsworth) to console her. Eventually, the whole love triangle (and all of the other regular Hunger Games young folk from the past few movies) get shipped off to the front lines. They’re supposed to simply film propaganda videos to rally the troops, but Lawrence has other plans. She wants to personally assassinate the president (Donald Sutherland) and end this revolution/war/franchise forever. Let the fun begin! The biggest problem with the movie is the same problem with the last one: this is only half of a story. It’s become depressingly common practice to split the last book in a popular film-adaptation series into two movies and this one has been particularly unnecessary. There’s simply wasn’t enough story to fill four hours of screen time and neither one has a satisfying structure. 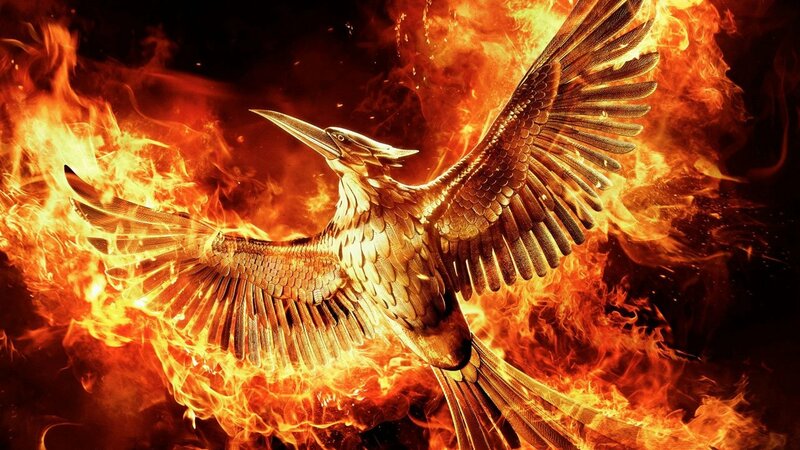 In theory, Mockingjay Part 2 should be a feature length climax, but that would have lasted an hour tops. So it’s been padded out with scene after scene of characters staring off-screen looking vaguely sad. The film features some of the best action of the entire series to date (including a spectacular oil spill, an underground monster chase, and a tragic finale), and could have been a roller coaster second half of a film. Instead, in between every round of excitement, we have to sit through endless scenes of characters looking sad, talking about looking sad, or discussing that irritating love triangle and how sad it makes them. On the plus side, the story does wrap up well. Rather than stampeding towards a glorious, revolution victory, Suzanne Collins and the filmmakers complicate the tale’s pointed politics further. It’s not exactly a jaw-dropping twist/revelation for those who have been paying attention, but it is a clever inversion of expectations that adds to the complex morality tale. That’s the thing with The Hunger Games: as easy as it is to poke fun at the excesses, the needless love triangle, and the Battle Royale plagiarism, the film does play with interesting ideas and serves up a complicated message for a teen audience that usually doesn’t get those things. The acting is top notch as always, especially from the pouty perfect Lawrence, the raging Hutcherson, and the supporting cast of middle aged character actors. The elder statesman is sadly mostly on the sidelines this time, but Moore’s ice queen, Sutherland’s cackling, evil leader, and a posthumous Philip Seymour Hoffman have rarely been better in this series. 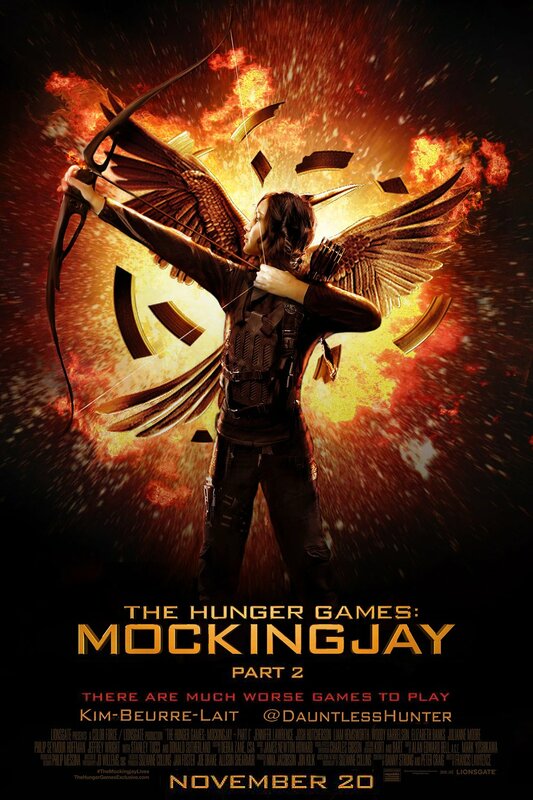 So, The Hunger Games franchise ends on more of a whimper than a big bang. It’s not one of the best movies in the series (though it could have been, had the last two movies been combined into one), but it is a satisfyingly downbeat ending to a gently dark tale that had to end that way. This has certainly been an uncommonly intelligent and dark teenybopper franchise that’s better than most. However, there’s also a sense of relief in the air when the credits finally roll (and not just because it has one of those Return Of The King endless stream of endings). These movies might have been well made and sincerely conceived, but they became less fun as they went on. All of the satire that enlivened the early movies gradually disappeared and the tale transformed into a depressing drag, even if it was an intelligent one. While The Hunger Games currently stands proud as a clever, brooding teen phenomenon, it’s hard to imagine that success will endure. These just aren’t movies made for lazy weekend marathons like other big franchises, nor are they great timeless art. Nope, these were clever and effective movies of the moment that are wrapping up just in time to disappear from the zeitgeist. Ho-hum. While The Hunger Games currently stands proud as a clever, brooding teen phenomenon, it’s hard to imagine that success will endure.